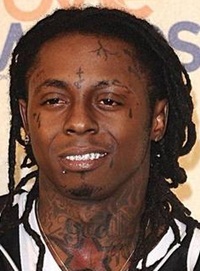 Dwayne Michael Carter, Jr. better known as Lil Wayne is an American rapper born on September 27, 1982. At the age of eight, he wrote first rap song. In 1991, Lil joined Cash Money Records and recorded his first collaboration album with rapper B.G. named True Story. In 1996, Wayne formed a group “Hot Boys” and released albums like Get It How U Live! and Guerrilla Warfare and earned success and fame. In coming years, Lil Wayne released his solo debut album Tha Block Is Hot and gained critical acclaim. Afterwards, he released numerous albums and received worldwide recognition including The Carter, The Carter II, The Carter III, I Am Not a Human Being and The Carter IV. 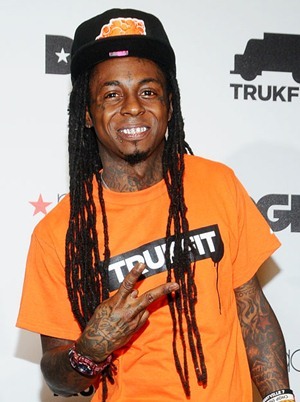 Wayne won several awards against these successful albums such as Grammy Awards, American Music Awards and BET Awards. Furthermore, Lil as well established an organization named One Family Foundation to serve youth of urban area and made them self-sufficient. As for his personal life, Wayne married to his girlfriend Antonia Wright in 2004 but the couple divorced after two years of marriage relation. Later on, Lil Wayne dated numerous celebrities such as Sarah Vivan, Lauren London Nivea and Trina. He has four children. Complete Name: Dwayne Michael Carter Jr. 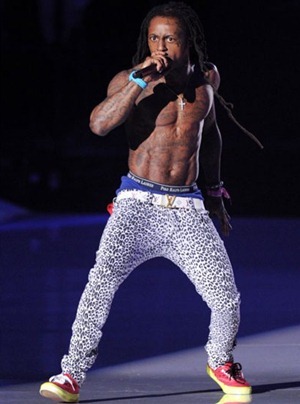 Given below are rapper Lil Wayne body measurements details including his height, weight and shoe size. At the time of Wayne’s birth, his mother was 19 years old. His initial rap name was Shrimp Daddy. At the age of 12, Lil accidentally shoot himself and was taken to the hospital by a police officer.